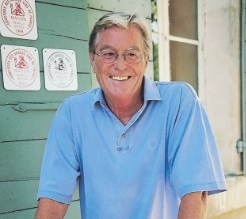 Author Peter Mayle died, aged 78, in hospital near his home in Provence, the region he made famous in A Year in Provence and many other books. The former copywriter discovered a new life when he moved to Luberon to write a book but distractions from ‘the farmer next door, the mushroom hunter and the lady with the frustrated donkey’ meant it was never written. His agent said to forget the first idea and write about the distractions. 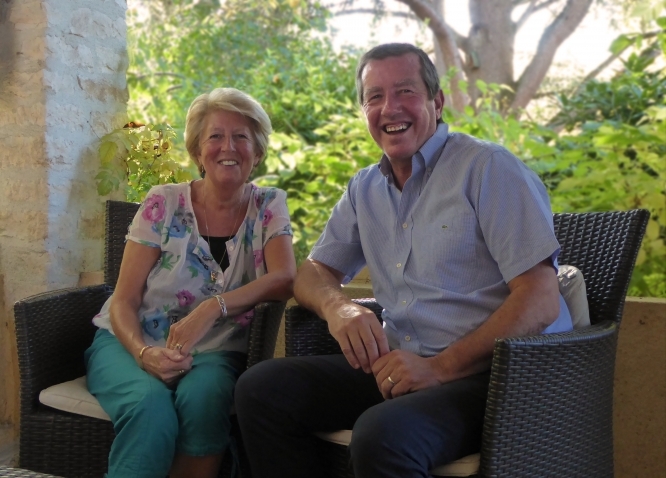 Here Michael Delahaye looks at some of the books he inspired with A Year in Provence. On my desk is a key document in the publishing history: a newspaper article from 1987. That dripping, resolute man was an advertising executive called Peter Mayle – and we know what happened next. The article became a book and A Year in Provence was published. Peter Mayle died in January but he had given birth to a new literary genre – the ‘Escape to France’ saga. Today, it is still going, stronger than ever. As my Amazon in-box daily testifies, there are now scores of books by people who have ‘done a Mayle’. The story is invariably, uncannily, the same: the author – English, American or Australian – decides there must be more to life than the daily commute. In a moment of madness, they throw in the job, sell the house and buy, singly or with plucky family in tow, a tumbledown ruin. There follow months of alternating despair and hilarity as our heroes battle builders, bureaucracy and, not least, the French language (opportunity here for some old chestnuts, like asking the local épicier if he puts preservatives in his jam). Crisis follows crisis, relationships crumble… but in the end it turns out to have all been worthwhile. No pain, no gain. Or, as the French say, ‘on n’a rien sans rien’. It is easy to mock but, though the books may be formulaic, they are addictively readable. In fact, predictability is the key – think Mills & Boon. There is the pleasure of recognition for those who have been through it. For those who have not, there is the vicarious pleasure of seeing others take the risk and live the dream, knowing that if it turns into a nightmare they can wake up. But back to the beginning… Peter Mayle was not the sole pioneer. Around the same time as A Year in Provence, Ruth Silvestre, already a children’s author, was writing her family’s story of buying a second home in Lot-et-Garonne. 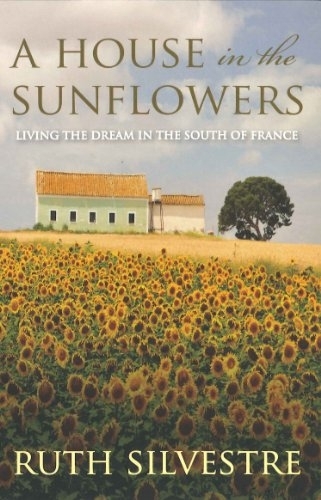 The result, A House in the Sunflowers, came out two years after Mayle’s book. It is less about selling the dream than living the life. 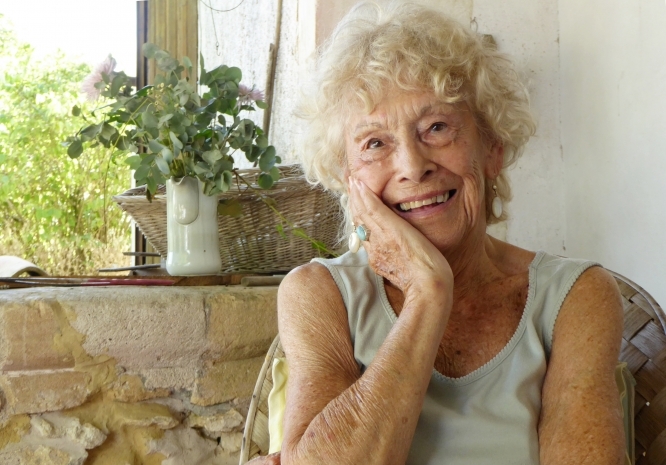 Ruth’s husband, illustrator Michael Grater, died in 2003 but she, now in her late 80s, still spends the summer months at Bel-Air de Grèzelongue. The book, meanwhile, has grown into ‘The Sunflowers Trilogy’. All three volumes are still in print. A whole new generation of writers has followed – most recently, the self-publishers. Now anybody who has ever bought a house in France can tell their story – without agent, publisher, printer… or financial risk. Among them are David and Wendy Prothero. David’s book, A Garden in Sarlat, tells of their own ‘moment of madness’ back in 2008. But, wherever they escaped to, early retirement was not an option. 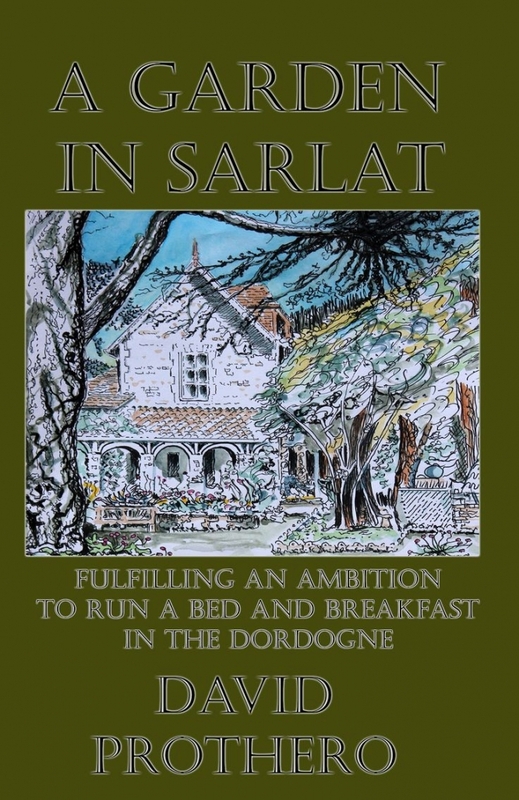 Through a chance encounter, they bought a neglected 200-year old house in Dordogne, did it up and, a decade on, are running one of the most successful B&Bs in the region, Le Jardin in Sarlat. In 2016, they won a TripAdvisor Travellers’ Choice award. David had no professional writing experience or qualifications, unless you count an English O-Level. He is proof that, if you have a story to tell, and you tell it well, self-publishing can make you a modest mint. Why, then, despite the hundreds of thousands of French who have moved to the UK, have I yet to receive an email from Amazon recommending the likes of a French Tout Bon, Tunbridge Wells or Sacré Bleu, Bognor? Edit yourself, ruthlessly. You may be fascinated by that meal at the South Mimms service area on the way to Dover – but will your readers be? Michael Delahaye is the author of three commercially published novels and numerous articles on living in France.